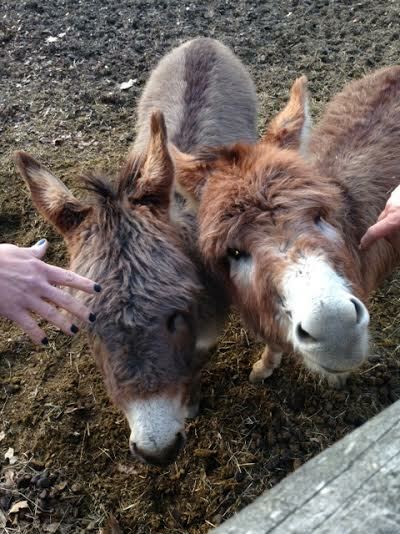 Thanks to Columbiana Farmer Brian Sevenich, two “red” miniature donkeys will be enrolling at the Purple Cat. Blaze and his son, Sugar Ray, will be moving to the Alpaca barn sometime in April. The boys are a respective 32 inches and 36 inches high and will protect the barn animals. Of course, the Purple Catters will be taking great care of them both. Welcome Blaze and Sugar Ray!